T P M S M T D J u n e 2 0 1 8 74 TIRE PRESSURE SENSOR REGISTRATION NOTE: ere is no practical difference between the M-MDS scan tool method of registration and the non-scan tool method. e M-MDS scan tool method simply provides the ability to read the tire pressure sensor ID changes directly. With both methods, the vehicle must remain stationary for 15 minutes and then be driven for 10 minutes. Without M-MDS scan tool 1) Turn the ignition switch to the ON position, then turn it back to the LOCK position. 2) Leave the vehicle with the engine off, and wait for 15 minutes or more. NOTE: If the vehicle is driven before 15 minutes of changing the tires, the TPMS warning light will flash because the sensor ID signal code will not have been registered yet. If this happens, park the vehicle for 15 minutes or more, aer which the sensor ID signal code will register upon driving the vehicle for 10 minutes or more. 3) Aer 15 minutes, drive the vehicle at a speed of at least 16 mph (25 km/h) for 10 minutes or more. Tire pressure sensor ID registration is completed when the TPMS warning light turns OFF. With an M-MDS scan tool NOTE: Use the LDS (laptop PC). e PDS (pocket PC) does not support wheel unit ID registration and monitoring wheel unit ID. NOTE: When using the M-MDS scan tool to perform the ID registra- tion, before driving record the initial ID data and verify the data has changed aer driving for 10 minutes or more. 1) Turn the ignition switch to the ON position, and then turn it back to the LOCK position. 2) Connect the M-MDS scan tool and identify the vehicle. 3) Aer the vehicle is identified, select the following items from the initial screen of the M-MDS. 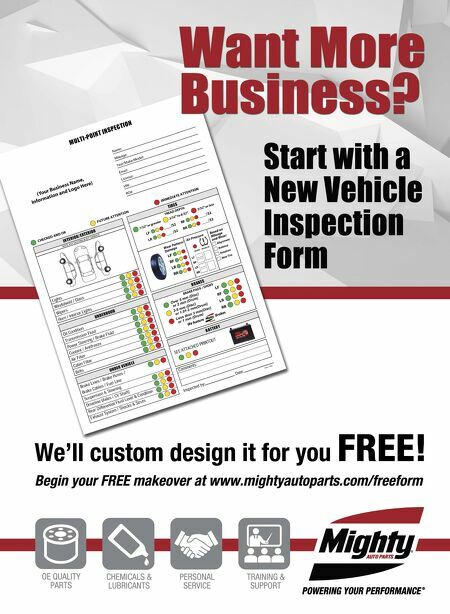 4) Select "BODY," then "TPMS FUNCTION," then "WHEEL UNIT ID REGISTRATION." 5) Select "WU_ID REGISTRATION." 6) Leave the vehicle with the engine off, and wait for 15 minutes or more. 7) Verify the TPMS warning light turns ON and OFF in 0.5 second repeat cycles. 8) Aer 15 minutes or more, drive the vehicle at a speed of at least 16 mph (25 km/h) for 10 minutes or more. Tire pressure sensor ID registration is complete when the TPMS warning light turns OFF. DEMOUNTING/MOUNTING PROCEDURES CAUTION: e tire should be demounted from the wheel using the tire changer manufacturer's instructions. Use the following information to avoid damage during the demounting/mounting procedures. NOTE: Whenever tires or wheels are changed (such as changing to and from winter tires) where a new sensor is installed, the tire pressure sensor's unique ID signal code must be registered with the TPMS. See "Rest procedures." NOTE: e TPMS is not affected by wheel and tire rotation. NOTE: Perform tire pressure adjustment when the tires are cold. Tire pressure will vary according to the tire temperature (approximately 1.5 psi (10 kPa) change for every 10 degrees Fahrenheit). Let the vehicle stand for one hour or only drive it 1 mile or less before adjusting the tire pressures. TIRE PRESSURE SENSOR CAUTION: e use of non-genuine tire sealants is strictly prohibited for vehicles equipped with TPMS. Other tire sealants can clog tire pressure sensors. When reinstalling a previously removed tire pressure sensor to a wheel, replace the grommet for the tire pressure sensor. NOTE: Factory wheels are specially designed for installation of tire pressure sensors. D not use non-genuine wheels, or it may not be possible to install tire pressure sensors. Removal 1) When replacing a wheel or tire, tire pressure sensors must be set up in one of the following ways: • Remove the sensor from the old wheel and install it to the new wheel. Keep the same wheel with tire pressure sensor, and replace only the tire. • Use a new wheel and sensor (the new sensor will need to be registered). 2) Remove wheel. Remove the valve cap (see Figure 1). Remove the valve core, and bleed air from the tire. Figure 1: Here's an exploded view of the tire pressure sensor. 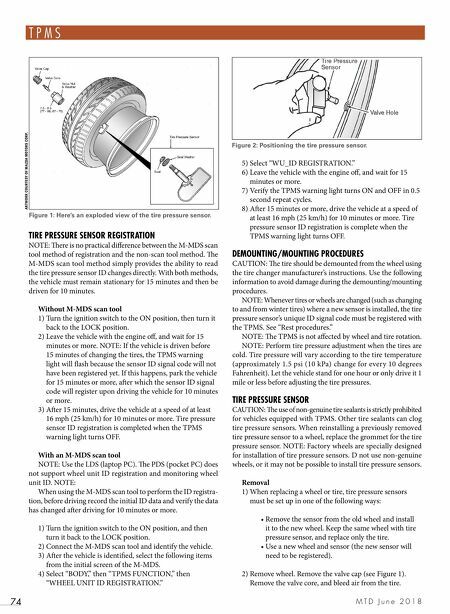 Figure 2: Positioning the tire pressure sensor. ARTWORK COURTESY OF MAZDA MOTORS CORP.